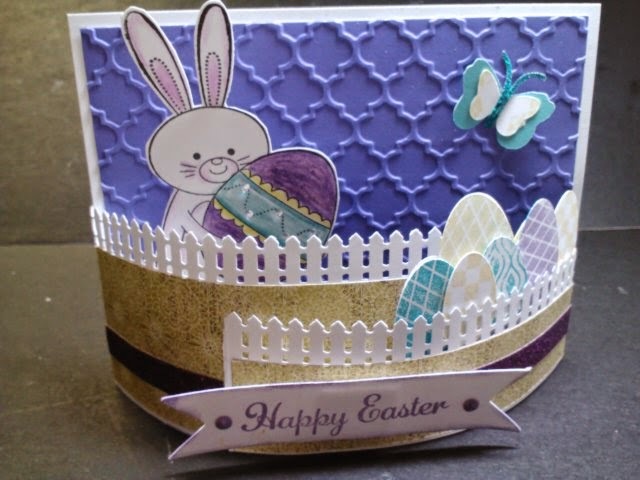 Welcome to our April Blog hop, have fun hopping from one blog to the next. Enjoy all our talented ladies. If you get lost just go the the bottom of this post and you can find your way. 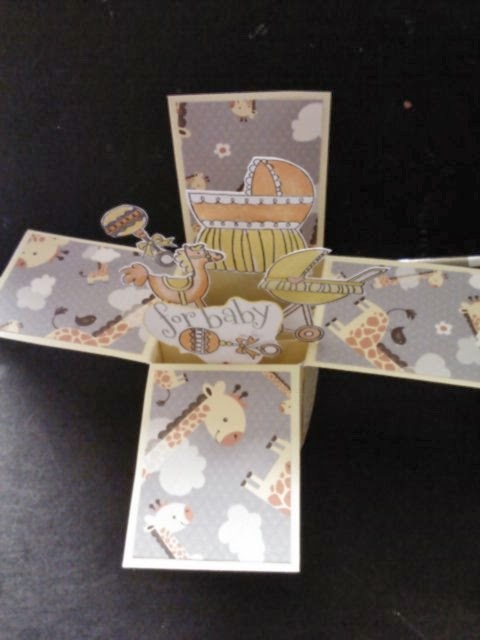 My card this month is a Bendy fold card that I just taught my class. 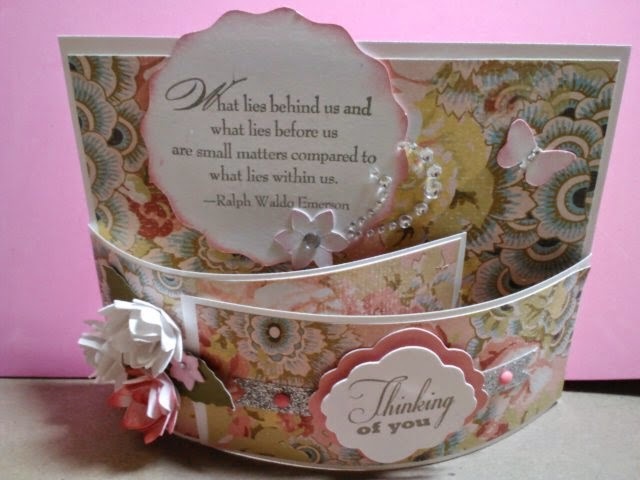 For the directions go down to the other post showing the card using Ariana and thinking of you. 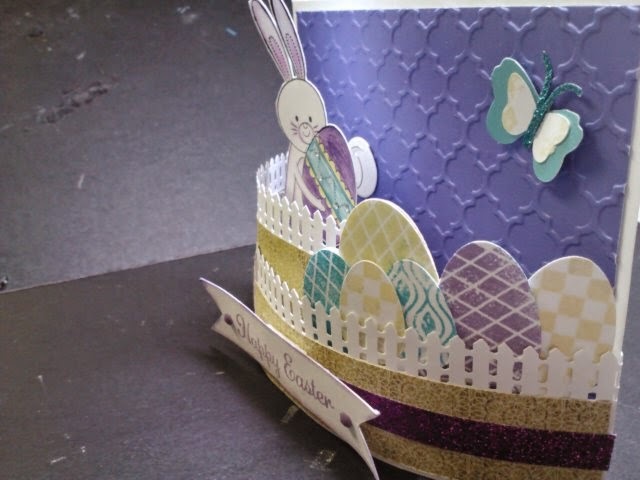 I cut out the eggs and butterflies using the Art Philosophy Cricut cartridge. 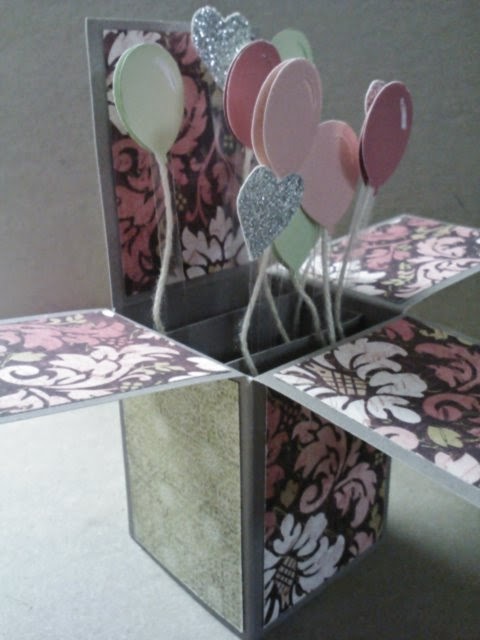 I stamped them with D1559 Geometric Background flair stamp set. The bunny is mounted with a spring so it wiggles. The Happy Easter is from B1446 Hoppy Easter. Any questions just send me an email or post it here. 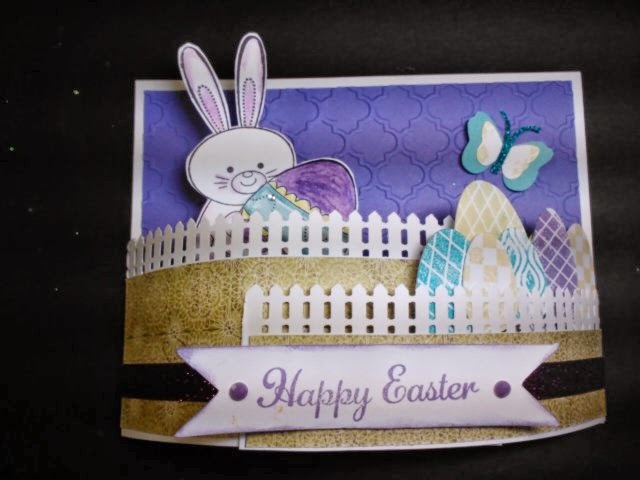 Now hop on over to my dear friend, Betty to see what she has made. 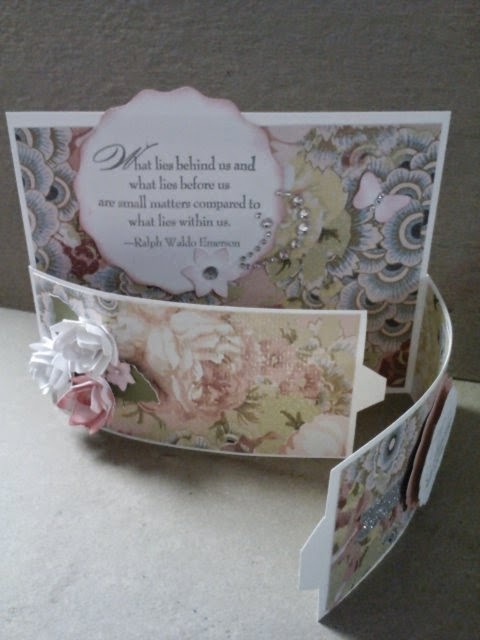 This is my first attempt at making a bendy fold card. I love the softness of the Ariana paper. 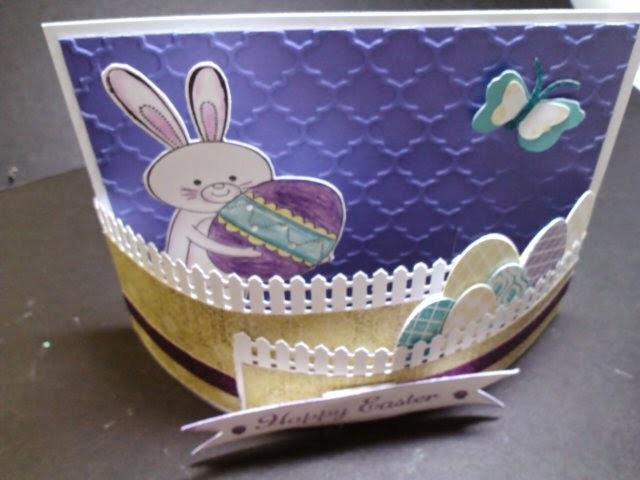 I used the cricut to cut out the shapes to help accent this card. 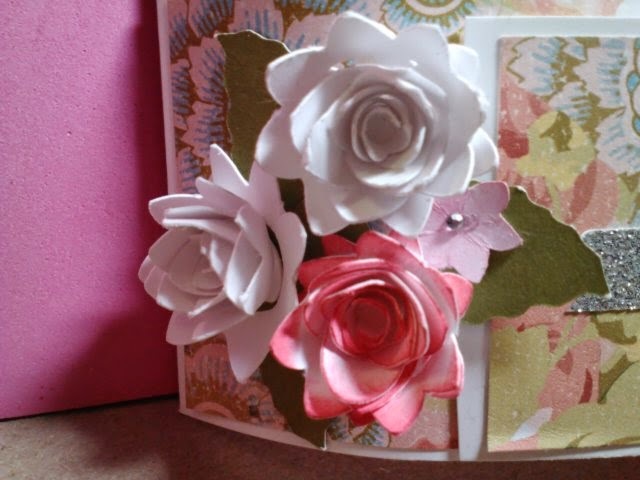 Here is a close up of the flowers I made to hide where the tab fits into the card. The cards below show how dull a card looks when you take a picture without enough light. They still show you the mechanics of the card. Below I will give you the measurements, so you can make one for yourself. Below is the card when it's open. 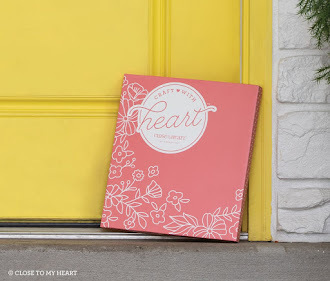 Cut background texture paper to cover cardstock in the following sizes. Glue large b&t to one side of cardstock, measure 4" from the left side on the 5 1/2" length. Line up the 2 1/4 strip along the bottom edge, so you know how long to make the slit. Cut the slit so the tab fits in it and the strip in flush with the bottom edge. Glue the scored 2 1/4 strip on the left side with the scored pc on the back. On that strip, measure 2" from the fold, line up the other strip so you know how long to make the slit. Put top b&t on wide strip and re-cut the slit from the back. Glue the narrow strip on the right side. Put b&t paper on the rest of your project, don't put glue near the slits. 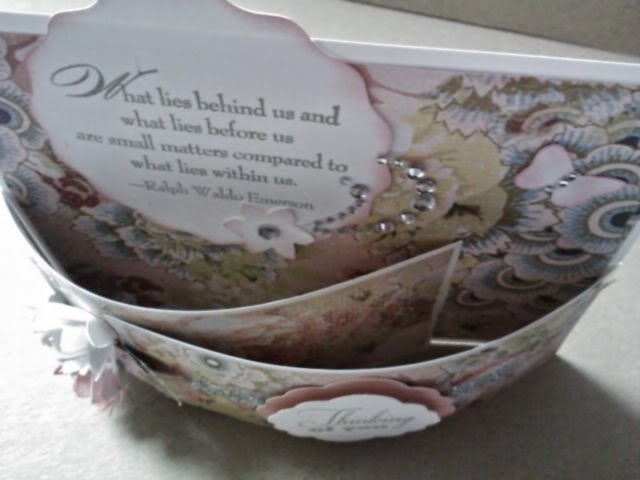 Decorate the card, if you want the card to fit into a regular envelope be careful not to put the back decoration to high. 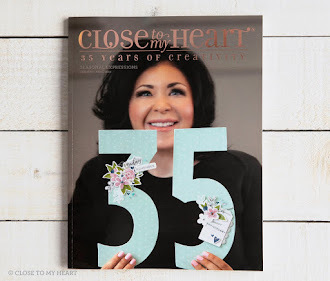 Choose 3-D flowers (cut with cricut) or flat flowers to put on side to cover up the slit. Anything can be used to decorate. Here are 2 versions of Card in a box. 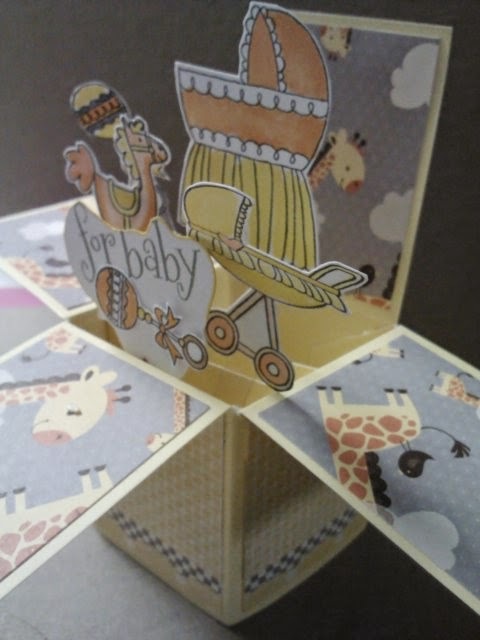 The first on is a baby card using Babycakes paper and "B" is for baby stamp set. 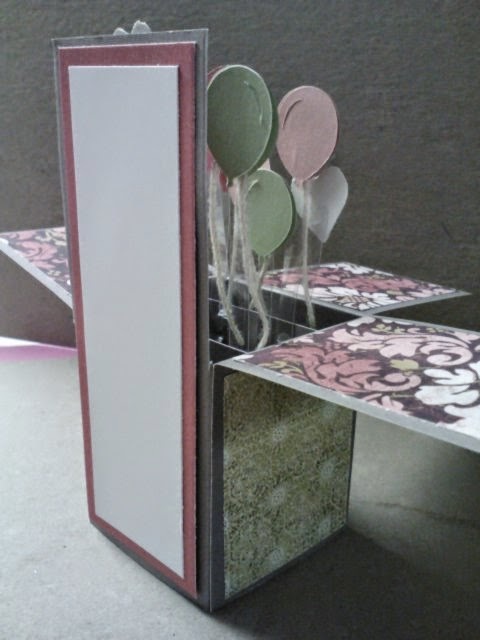 Here is a birthday card in a box, these are fun to make. 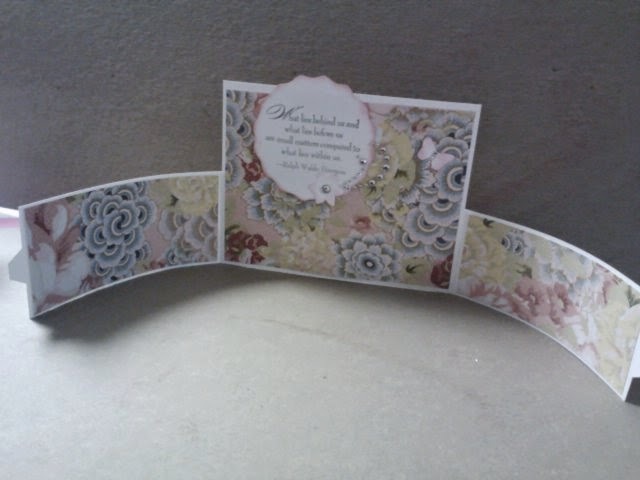 Start with a 9.5 1/2 piece of cardstock, score at 1/2" , fold in half and in half again or Score at 2 1/8, 4 1/4, 6 3/8. 8 1/2. Turn and score at 2 3/4"
Take a 3" square same color cs, score at 1/2" on both ends and cut 2 ...1" strips. away. You can cut that remaining 1/2" at an angle. 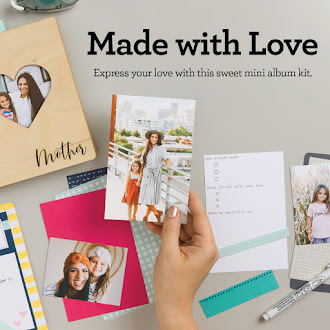 Fold the 2 1" pcs in a z pattern, glue these pcs inside the box. If you glue the pcs in before you glue the box together it's easier. You know that are right when you and fold the box to one side with no resistance. Fold down three of the four flaps, leave the back flat straight. Layer with cs 2"x5 1/8" and another layer 1 3/4 x 5"
Mat for the shorter flats are 2 1/4 x 1 3/4" You need 4 for the top flaps, 3 for the bottom and 3 more if you want to decorate the under flaps. Once you have the mats glued on you can add balloons or flowers,etc. Take 1/2" strips of clear acetate to the back panels of the 1" strips, these can be angled, keep folding the card and make sure nothing sticks out, this way you can use a reg envelope.